Altamira, the cave painted by prehistoric humans near Bilbao have been a usual tour that I make with my guests, combining it with the visit to other original caves open nearby or with the gorgeous town of Santillana del Mar. Remember that if you want to make a tour in these prehistoric caves in your visit from Santander, Bilbao or the Basque Country? But today, I am centering on the new film by the Spanish actor Antonio Banderas called Altamira. 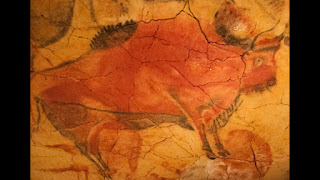 The 2016 film, speaks about the discovery of the Altamira cave near Santander and Bilbao by Modesto Peres and the little girl Maria Justina Sanz de Sautuola. And the fight that the archeologist Marcelino Sanz de Sautuola had to do to convince the scientific community, the local society and even the church that they were painted by humans more than 15,000 years ago. 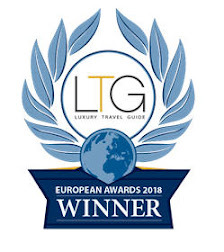 After earning recognition, it is consider nowadays together with Lascaux in Aquitaine and a few others, as one of the best examples of prehistoric art in the world. From 2001 there is a replica that you can visit inside a nice museum explaining about the last discoveries of this exciting part of our history. That you can visit with a private tour if you want to. Thankfully, the cave of Altamira, together with others of the North of Spain are UNESCO World Heritage Sites, with a special protection. Interesting facts of the history... the film producer of Altamira film is owned by one of the great-great-granddaughter of that little girl who entered the cave of Altamira and who told his father that she had seen some oxen. Are you thinking to come to Santander, Bilbao or the Basque Country? Do you want to enjoy more your stay?